Cape Coral, Florida, is a city located on the north bank of the Caloosahatchee River across from Fort Myers. The city had its beginning in 1957 on a tract of land known as Redfish Point. Real estate developers and brothers Leonard and Jack Rosen bought the land for $678,000 and began developing it as a planned community. They formed Gulf American Land Corporation to do the development work and sales programs. Gulf American became one of the largest companies in the United States and lots were sold to investors all over the world, and to people who dreamed of retiring some day to Florida. 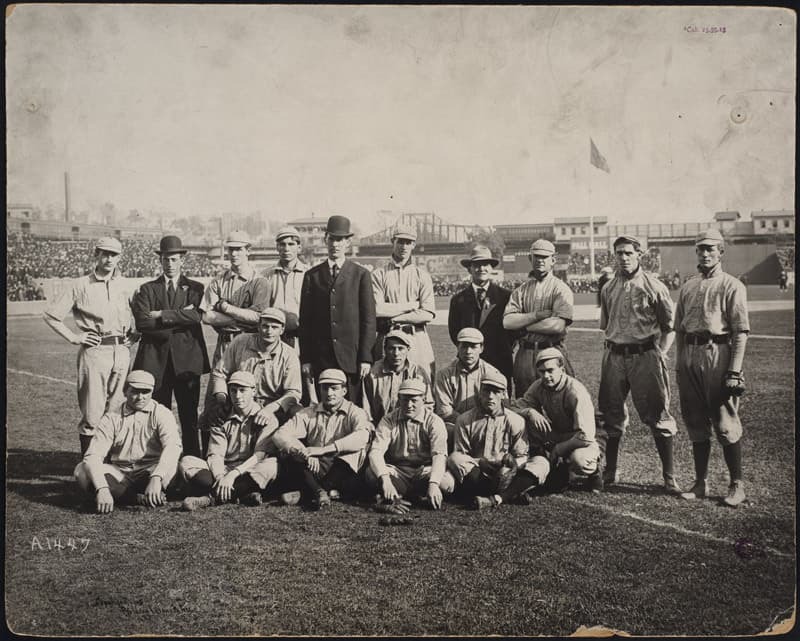 One of the Rosen's earliest employees was Connie Mack, Jr., the son of famous Philadelphia Athletics owner and manager Connie Mack (whose real name was Cornelius McGillicuddy). The Macks were already familiar with the area because they had been bringing their baseball team to Fort Myers for spring training since 1925. Mr. Mack, Jr., was one of the most important figures in developing Cape Coral until his retirement in 1969. His son, Connie Mack, III, became a United States Senator from Florida. His grandson, Connie Mack, IV, became a Florida congressman. The community grew quickly and was incorporated in 1970. The current population in 2018 is about 180,000. Many of the lots in Cape Coral are still vacant, and the city will probably continue on its path as one of the fastest growing cities in the United States. It is currently the eleventh largest city in Florida by population, and many sources consider it one of the best retirement communities in Florida. 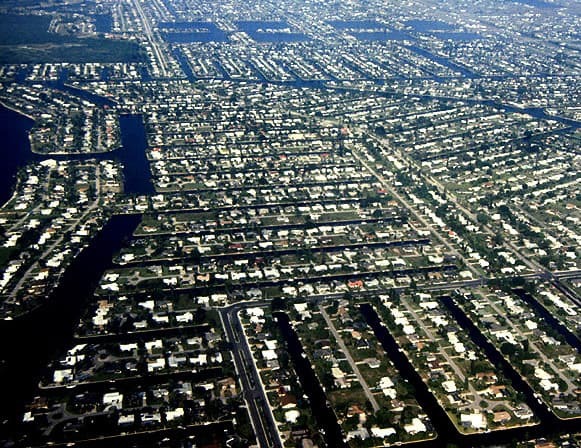 A distinctive feature of Cape Coral is its canal system. The city has more than 400 miles of canals, more than any other city in the world. It has the unofficial slogan of "Waterfront Wonderland". Boating and fishing are a way of life for many Cape Coral residents and visitors. 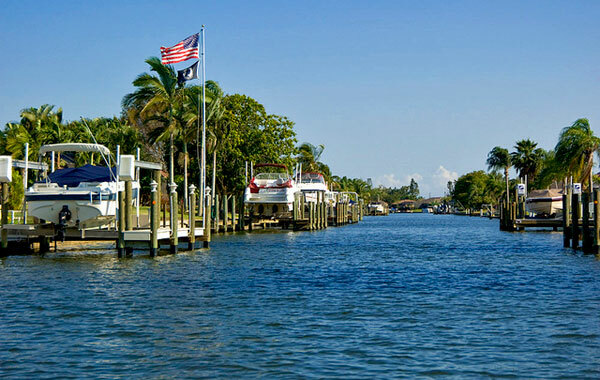 Most of the canals are navigable, and a large percentage of Cape Coral homes have boats in their back yards. 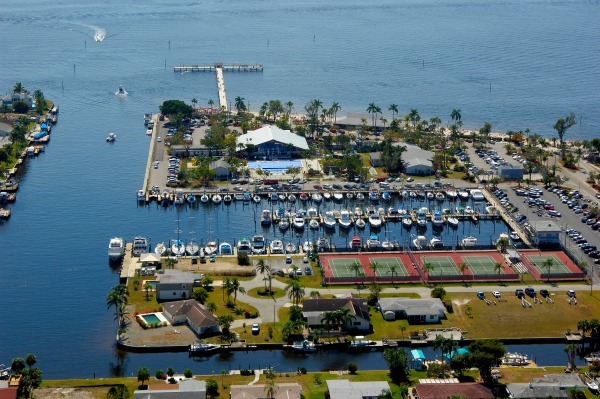 One of the largest marinas in Florida is located between Cape Coral and Punta Gorda on Burnt Store Road. There are also several golf courses in Cape Coral and Fort Myers for those that want to supplement their boating lives. Cape Coral is also the entry point to Pine Island by way of the fishing and artistic community of Matlacha. Cape Coral is connected to Fort Myers and other areas south of the Caloosahatchee River by several bridges, most of them built since the development of the city. For a less positive review of the past and future of Cape Coral, go to this article on Politico by Michael Grunwald.